Seth O’Byrne is San Diego’s real estate powerhouse who has built in less than 10 years, a highly recognized team brand having employed over a dozen advisors and brokering hundreds of local real estate transactions. 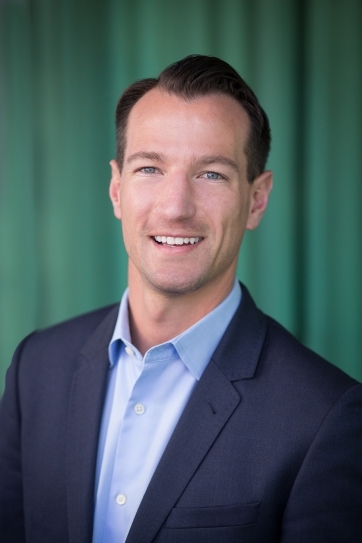 As the head his team whose home office is Pacific Sotheby’s International Realty, Seth O’Byrne has created a full-service real estate buying and selling experience. Approaching $250M in real estate transactions brokered; Seth and his team have grown into a local go-to for all things real estate. Growth, volume, and experience have consistently placed Seth and his team among the top professionals in the real estate industry. Despite all this experience, sales volume, accolades, and success, Seth and his team still provides personalized service, is tremendously customer service oriented, and are absolutely dedicated to their San Diego buyers and sellers. You are not just another real estate transaction to Seth and his team, you are a client for life. Throughout his career, Seth O’Byrne has been successful in many diverse aspects of real estate and has worked for urban developers, city planners, residential, and commercial brokers and lenders. He understands commercial property management and at one time worked for San Diego’s largest apartment brokerage. You just don’t get experience like Seth’s wrapped up all in one package; he understands the San Diego real estate market inside and out. Seth and his team are trusted advisers and Realtors for a diverse mixture of San Diego buyers and sellers. Seeing a huge shift in the Southern California market, Seth and his team changed with the times and moved to the globally recognized brokerage, Pacific Sotheby’s International Realty. Under the Pacific Sotheby’s brand, Seth and his team have the exclusive ability to market their listings to an affluent and international audience. Seth and his team still service all of the same areas; including foreclosure/REOs, short sales, new construction, resale, probates, auctions, first time home buyers and multi-family residential real estate. Sotheby’s adds even more value to their service and provides an internationally known standard of excellence. Short Sales, foreclosures, investor rehab projects and new construction are all a vital part of Seth’s team; however the vast majority of clients have always been San Diego buyers and sellers. The key to Seth and his team’s success is experience. Your unique home buying and selling experience is not new and surprising to Seth’s team, they are seasoned Realtors that have a solution for each unique experience whether your home is $30,000 or $30,000,000. Enjoy the feeling of professionalism, quality and success with Seth O’Byrne.